Your physical well being is a spiritual issue! 1 Corinthians 6:9 Do you not know that your body is a temple of the Holy Spirit? Most people I talk to about their health & fitness wouldn’t place their physical well being in the sacred category. However, from Gods perspective, there is no divide between the sacred and secular. Everything is spiritual. Our bodies are the vehicle Gods given to us to live our lives and carry out our life purpose. Whilst Godliness is of every value, bodily training is of some value and it generally only becomes an issue when ill health surfaces in our lives. Many of us punish our bodies with a lack of sleep, poor nutrition and sedentary lifestyles that ultimately catch up with us as we age. When your unwell and unable to operate in your daily life as you once did, it doesn’t matter how grand your vision, or how passionate you are about reaching your friends with the gospel, the truth is you are dramatically limited in your capacity to carry out your ministry and spiritual goals. I’m advocating that we all increase the value we place upon our physical well being, not for cosmetic reasons but for stewardship and sustainability reasons that brings glory to God and energy for life and ministry. Sleep 7-8hrs, eat clean and move your body 30-60mins daily and the benefits will be dramatic, both physically and spiritually. One of the greatest challenges facing our generation is distraction. Many of us are weighed down by the burden of carrying too many roles, responsibilities and interests. This results in fatigue, stress, sickness and a lack of fulfillment. This is birthed out of saying yes to too many things and looking for superficial things to satisfy deep insecurities. Many of us are over stimulated and under prioritized. I encourage you to clear the clutter of your life and remove the distractions. Don’t weigh yourself down any longer with unnecessary clutter from media to possessions to time wasting tasks. Your time, energy and purpose is too valuable to waste on the trivial. Many people talk a lot about wanting something in life but very few of us actually go out and pay a price to possess what we want. Too many people live in quiet desperation brooding over their problems and secretly coveting the life someone else is currently living. I encourage you to stop comparing and fantasising in vain and actually go after what you want. One of the most powerful questions Jesus ever asked someone in the Gospels was, “What do you want me to do for you?” You would think that for blind Bartimaeus that it was obvious what he wanted = sight but Jesus still asked him anyway. We hear so many preachers telling us to deny ones self to follow Jesus and yet I think we would be surprised to know that Jesus is interested in finding out what exactly it is you want from him. Once you get clear on your answer, the next question is, how bad do you want it? Or, put another way, what price are you willing to pay for it? Stop wishing and start doing. You’ll be surprised at the outcome! Proverbs 29:11 Without vision people perish. One of the ways God communicates to us is through visions and dreams. Throughout Scripture we read example after example of God speaking to his people through visions and dreams. Some of these people include, Joseph, Daniel and the Apostle Peter in Acts 10 (Pivotal shift in the early church). 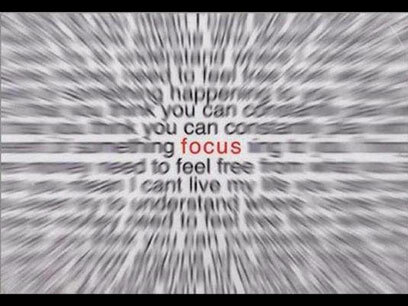 Focus – Vision helps you to focus on what’s most important and helps you stay away from distractions. 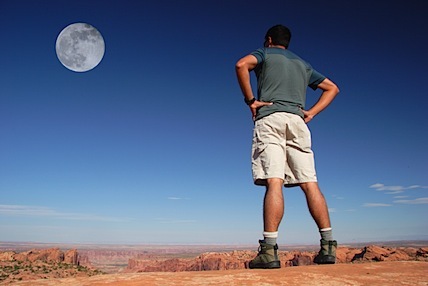 Endurance – Resistance in life will come but a vision kept before us will enable us to endure though tough times. Peace – With vision, you can wake up everyday with a security about who you are and why you’re here. Passion – Vision fires you up and motivates you to live out your passion. The key to high performance is being able to completely focus all your energy on one thing at the one time. I know what it’s like to be in a moment with someone, like my wife or my kids, but not actually be present because my focus is on something else… work, etc. Not only is this frustrating for the person who is trying to engage with you but you also miss out on the full experience of being completely present with that person. Performance isn’t a bad thing. As a Christian Leader I often hear and even suggest to others the idea that performance isn’t something we should be aiming for or even thinking about. It’s true that anyone of us can get caught up in living a lifestyle of performing for others around us in order to please them and get approval from them. This is unhelpful and negative, however, there is a positive aspect of performance which is more about being in the zone and there’s something awesome about being able to switch it on, whenever you need, so you can better engage with the moment you find yourself in. By definition, focus is where your eyes and senses are, not your mind. In other words, focus is thinking less, not thinking more. When I’ve thought of focus in the past, I’ve associated it with intensity, and while there may be a measure of intensity that enables focus to happen, it’s important to understand that to the individual in the zone, focus, is as natural as breathing. When you are so caught up in what you are created to do and loving it, you’re not even conscious of what you are thinking, you are just doing it. When you can switch on your focus as required, you can improve your performance and feel the exhilaration of feeling Gods pleasure as you live on purpose. Scottish runner, Eric Liddell, in the Movie ‘Chariots of Fire’ said these words, “When I run, I feel God’s pleasure”. Each of us have been predesigned to being glory and honour to God as we run the race He has set for us. Where is it in your life that you feel God’s pleasure? Fire up your focus on it and watch your performance in your life increase.